Why no ABS on the Duke 200/250 ? Amit Nandi says to keep the prices down, and also because the performance as compared to the 390’s is relatively low. It may have been a good option, but not absolutely essential. No conclusive word on the introduction of ABS in future. 390 and 250 have the same rims, though the 200 has a different set. 250 also doesn’t get the Metzeler tyres. Bookings have started, but the deliveries will start in a couple of days. 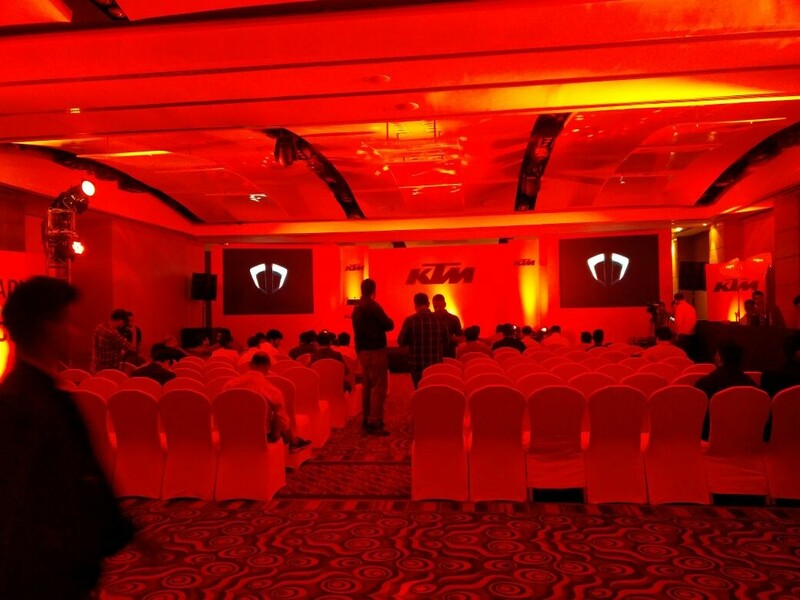 Update 7: Amit Nandi, the marketing head at KTM is now at the dias. 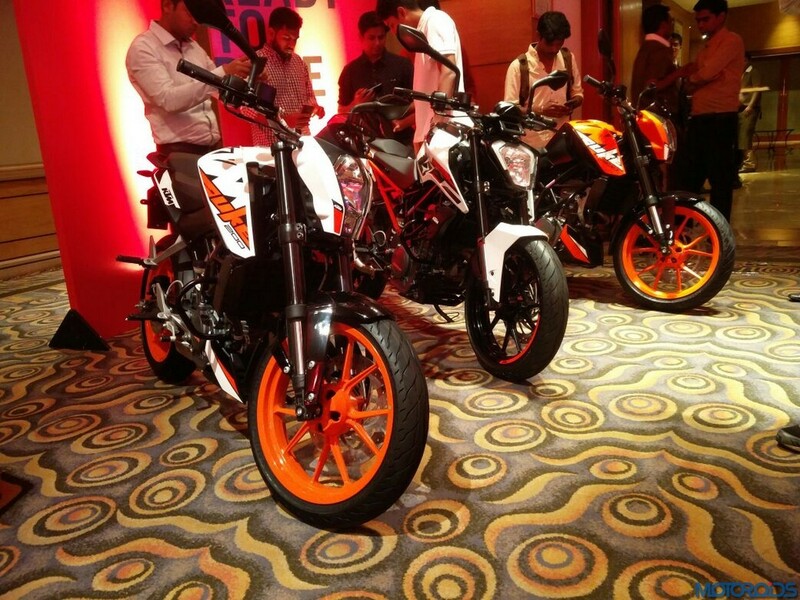 The KTM Duke 250 is here!!!! Yeay! Fresh design, orange rims and three colour options with fresh graphics. The bike is BSIV compliant as well. Lightweight trellis frame, upside down fork and aluminium swin arm is unchaged. Underbelly exhaust also remains unchanged. Rear monoshock by WP 10 step adjustable. 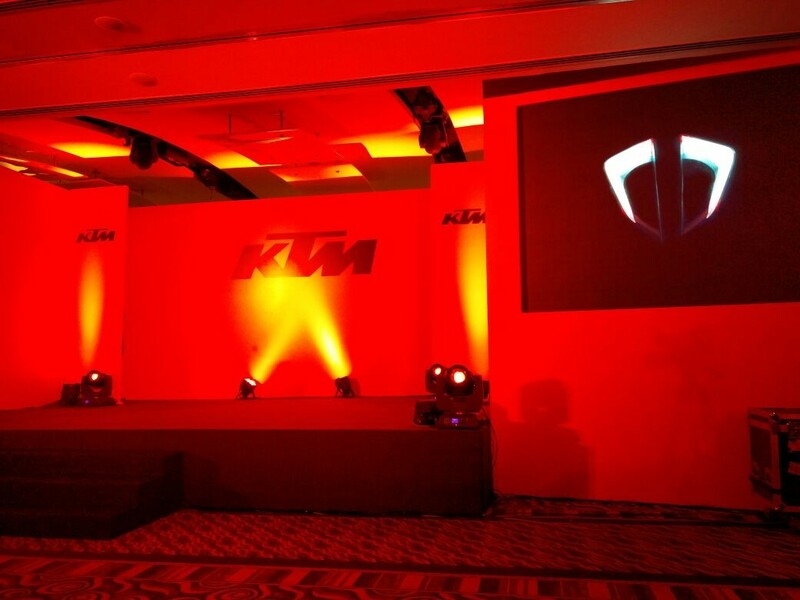 Update 4: Alright then, so the blokes at KTM are starting the show. You might want to follow our FB page for a LIVE feed too. 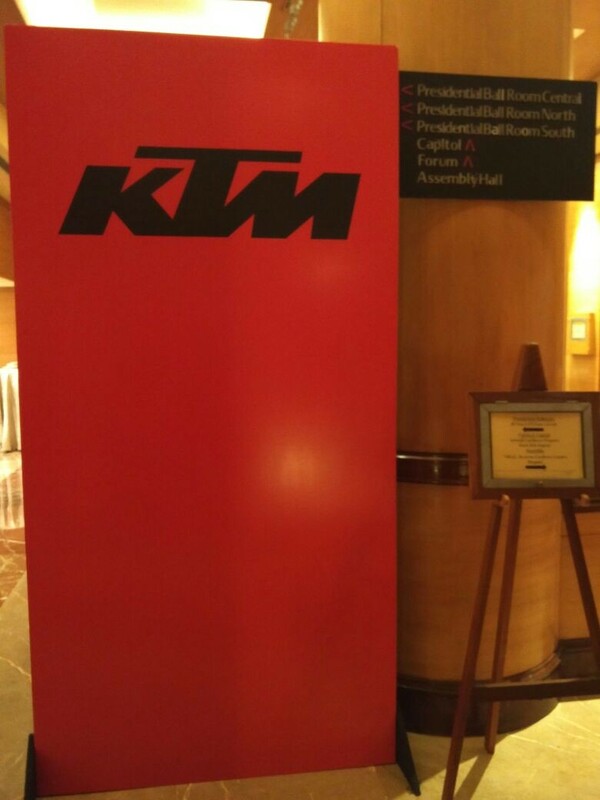 Update 3 : The KTM team insists that the event will start in 10 minutes’ time. For the uninitiated, we are expecting some surprises with this conference as the DUKE 250 has also been spotted in India with a Saree Guard. So keeping our finger crossed. 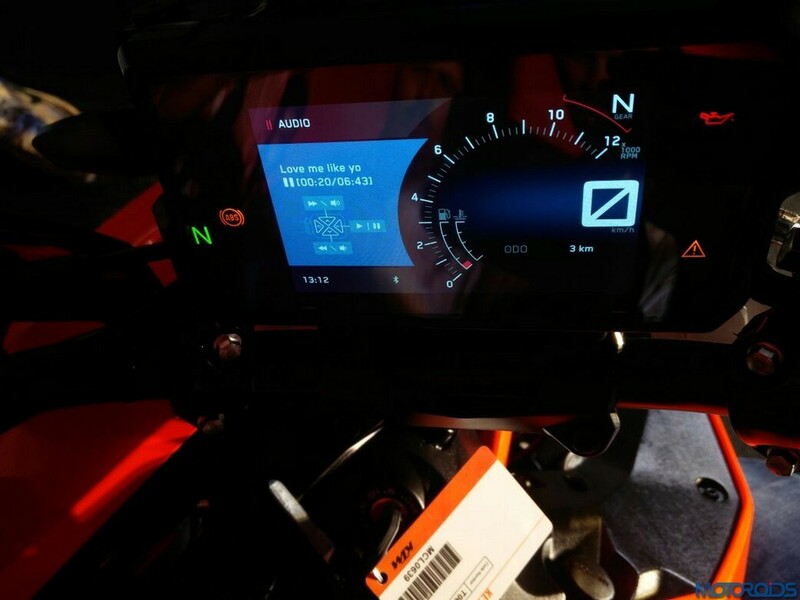 The 2017 KTM 250 Duke gets a 248.8cc engine with a shorter bore and stroke as compared to the engine of the 390 Duke. The power and torque values of the international spec model remains at 31 hp (at 9000 rpm) and 24 Nm (at 7250 rpm) respectively. Finally, the day has arrived for which all of us have been eagerly waiting. 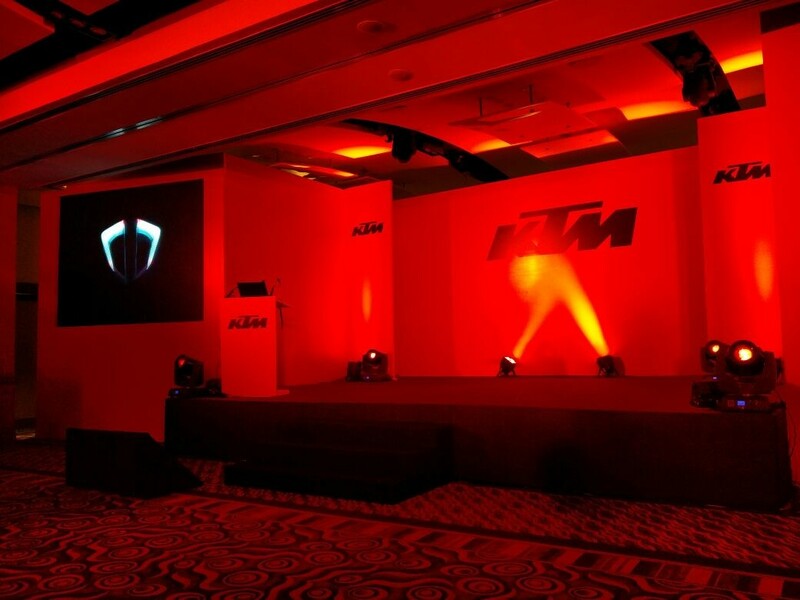 Today is the day when Bajaj-owned KTM is going to get the wraps off the 2017 Duke range for India. In November last year, KTM unveiled the 2017 Duke lineup at the EICMA motorcycle show in Milan and since then Indian enthusiasts have been waiting for some of these Dukes to reach their home country. While the RC duo has already been launched in India (Read Review Here and here ), all eyes are now turned towards this launch event taking place today in Mumbai. The event is about to begin and in no time we shall know what’s in store for us. Till then sit tight and here’s a recap of all the things we know until now. IMPORTANT: Keep refreshing the page for LIVE updates straight from the event! 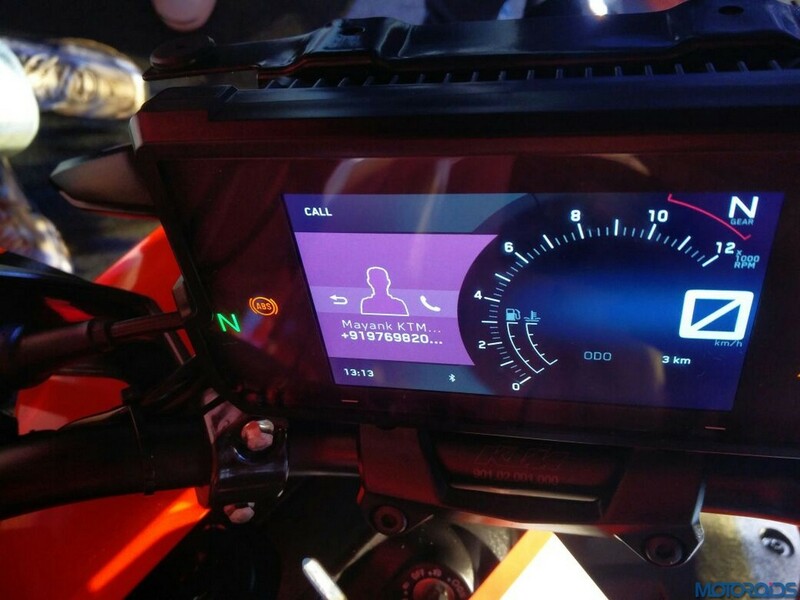 We are absolutely sure that KTM is going to roll out the 2017 390 Duke but there is a whole lot of speculations about the other Duke that is going to be introduced with it. 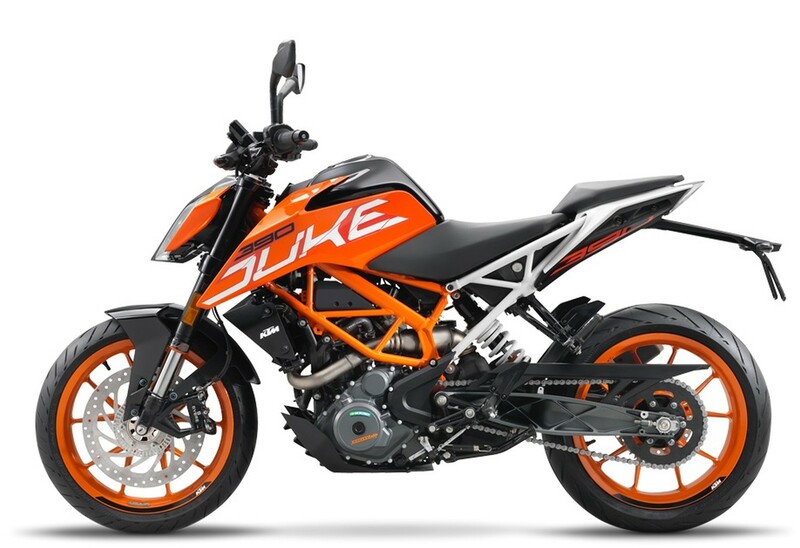 Some say, it will be the 200 Duke while some are of the opinion that it will be the 250 Duke. 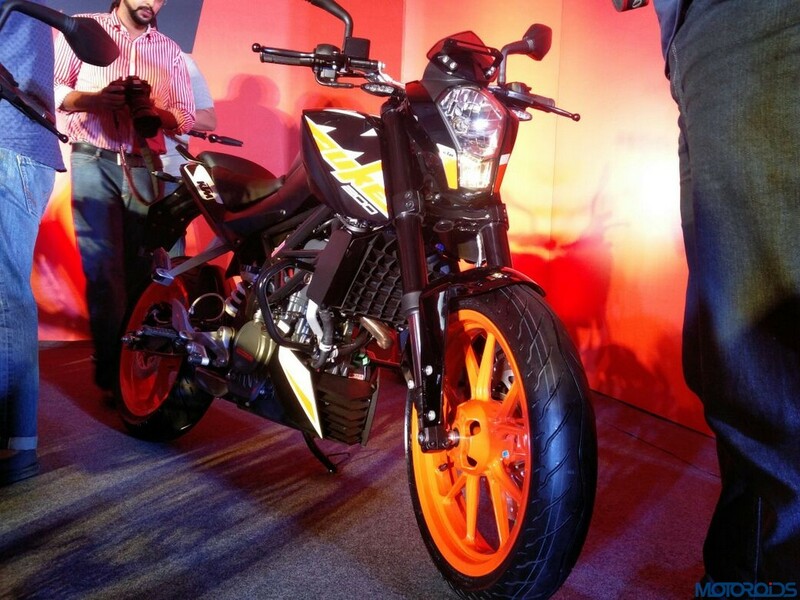 Well, according to our sources and a few reports we think the 250 Duke it is! We have our money on it. Supporting the news are a few spyshots that emerged a couple of days ago showing the early arrival of 2017 KTM 250 Duke at dealerships. 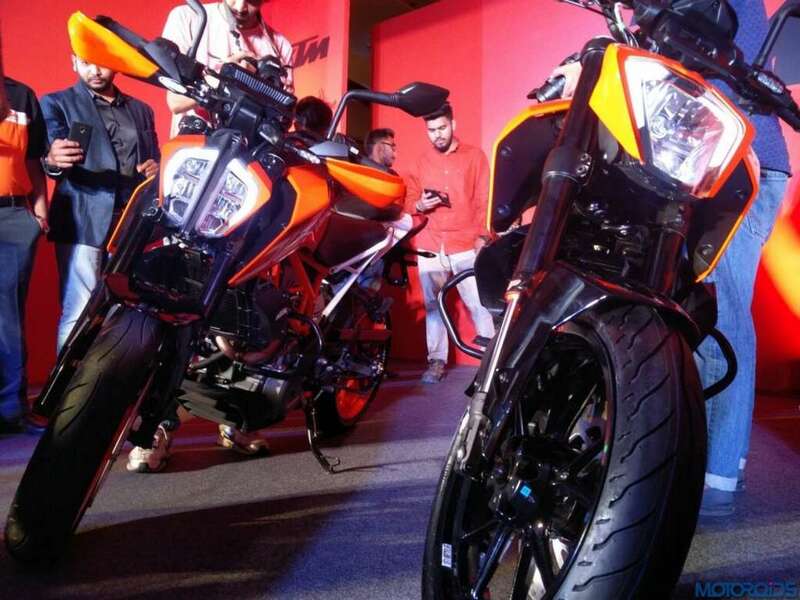 It doesn’t end here; previously, KTM India had confirmed that the 250cc Duke and RC will not be rolled out for the Indian market. And supporting this, is the sighting of the 200 Duke test mule. The third possibility of the scenario could be, as funny feels kick in, what if both, the 200 and 250 Duke, arrive along with the 390? ; that is too much of optimism, agreed. Fret not gentlemen, it’s about time! Speaking of the 2017 KTM 250 Duke, the street fighter will be powered by a 248.8cc engine that gets a shorter bore and stroke as compared to the engine of the 390 Duke. The power and torque values of the international spec model remains at 31 hp (at 9000 rpm) and 24 Nm (at 7250 rpm) respectively. Coming to the biggie 390 Duke, it will draw power from a 373.2cc liquid cooled engine mated to a 6-speed transmission. This single pot motor can fire out a power of 42 horses. 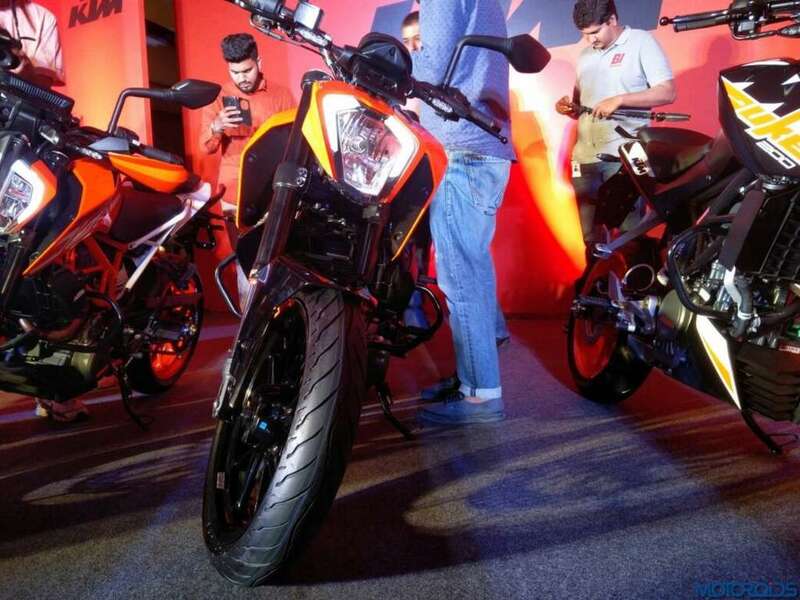 Here’s the image gallery of the 2017 KTM Duke lineup!